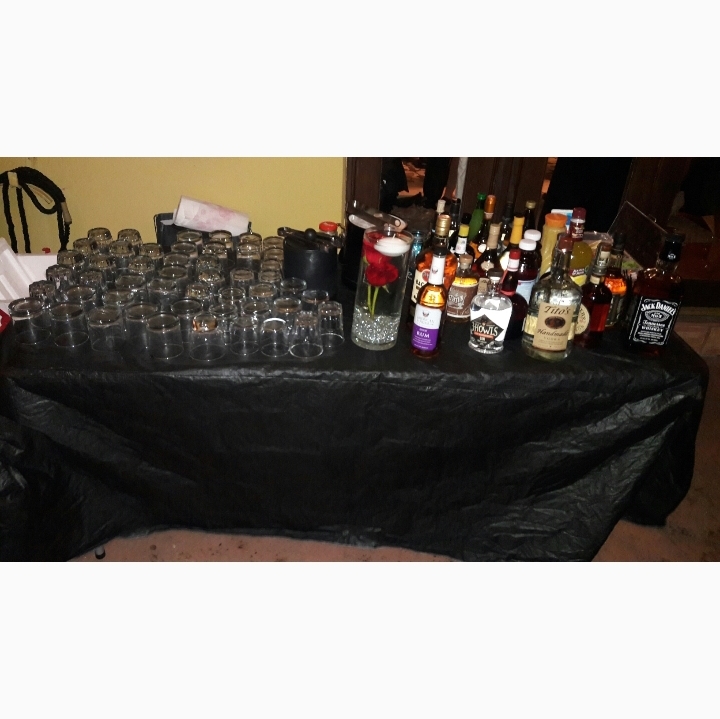 Bartending and event planning professional available for all events. Weddings, birthdays, corporate events and much more. No event too big or too small. Debbie was excellent under pressure. Very patient, friendly and professional. She has our highest recommendation. Thank you so much Jennifer for your amazing review. I really had a great time interacting with your guests and seeing everyone have a good time. We cannot day enough good things about Debbie. She is very professional, arrived early, and is a lot of fun to have at your event. I highly recommend Debbie! 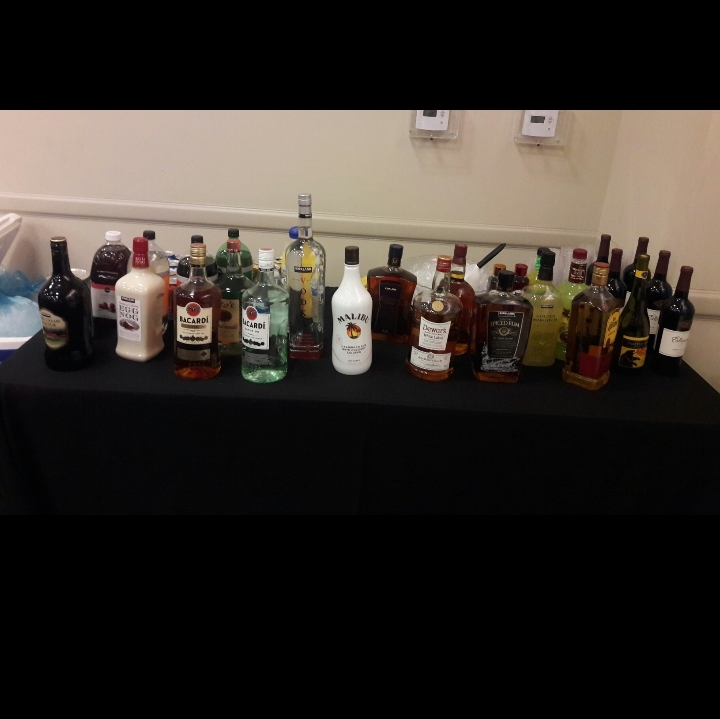 I am so happy we picked Debbie to bartend for our party! She was very confident and professional, and mixed up some great drinks like lychee martinis and ginger margaritas! I really appreciated that she communicated with me in advance about what I wanted and even sent me a shopping list - What a great help that was! It meant so much, as a hostess, to be able to rely on her and know everything was taken care of. Thanks Debbie - we look forward to having you back at our next house party. Debbie is extremely nice and hard working. She interacted wonderfully with the guests. I loved her sangria and everyone else loved the mixed drinks she made. Great service provided by Debbie, thank you. It was wonderful having Debbie as our Bartender . Debbie is a true professional. My guests had nothing but good things to say about Debbie. She was punctual and went beyond my expectations. I just showed her the bar with all the drinks and let her do what she does. Debbie gets my highest recommendation. Thanks so much Marc for your amazing review. This is why I'm passionate about what I do. It felt great to be a part of such a monumental and special family moment of obtaining a PHD. It was my pleasure to provide you and your guests great service. Congrats again to her. Amazing. She was nice and friendly. Next time I have an event, I will definitely reach out to her. Thanks so much for your kind words. It was my pleasure. I apologize that you feel that way. However, I wasn't late. I was told to bring 2 tables which I did which was part of the original agreement. The question about the coolers, I brought up much later on and I actually asked a few times about that. When I arrived, it was completely disorganized and literally enough stuff to open a small supermarket so to speak. Of course I would need help. Usually when I go to gigs, where I'm not bringing the setup, everything is set up when I get there. In this case everything was in boxes, bags, and there was ALOT of stuff.No where was it stated that I was going to be moving around about 10 full cases of liquor and many cases of soda and bags just full of misc. items. I was there in plenty of time to open my tables and put the items I would be serving on it but there was a huge surplus of everything which I cannot be blamed for (even your children said you want overboard with the things you bought). With that being said, I, myself, set up, and hurried to organize and move all the excess boxes under the tables, hidden from view. Your husband helped to move the beer cooler and that was about it. I pride myself on being efficient and professional and I did just that. 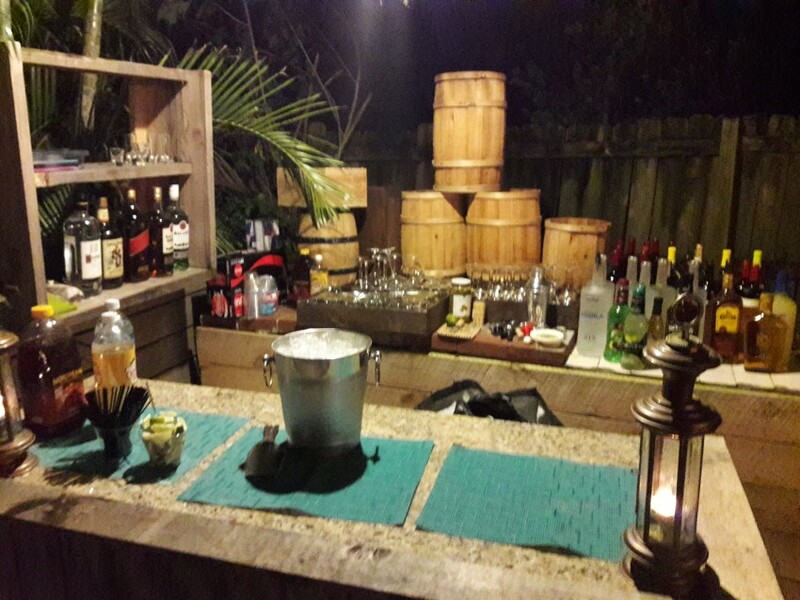 I interacted with your guests beautifully and provided them friendly and fast service. I ran to the bathroom for not even 2 minutes while some people just started to come in and I said I was doing that before anyone came over to the bar because they were still mingling and saying hi. I charged a more than reasonable price because I didn't know the physical workload involved. The fact that there was just too much stuff shouldn't be a deal breaker and had absolutely nothing to do with my service. A review should be truthful and putting that I was late is just not truthful. If you have so many items, you have to let the person know that in advance and hire them for at least another hour before your event to include set up. What should have been 20 min tops took about 45 min. You're welcome. It was my pleasure. Thanks for your great review. Glad you enjoyed your bday and you looked amazing!! She was on time but My guests described Debbie as not being very nice. Thanks for your review. I'm sorry for who didn't feel like I was nice. I was pleasant with everyone and smiled. I met their drink requests promptly and interacted well with quite a few people, a few even took my card. The ones that had issue may be the ones that kept coming behind the bar and pouring their own drink therefore hindering my work space and the process of me making drinks for the other guests. I was more than a bit frustrated at this but I didnt let it show. I did kindly let a few people know that I would be happy to make and pour the drink for them which is what a responsible bartender does to keep order. There was even one female guest who kept dancing all over me at one point even tried to straddle me as I sat when no drinks were being ordered. This made me uncomfortable. So that may have shown in my face but I definitely didn't let that affect my level of service. More than a few of the guests were just about at their limit of drinks when I left the party. But I definitely wasn't rude or unpleasant to anyone. So I have to disagree. I have never had a issue with guests or a complaint. All in all Diana I do hope you enjoyed your birthday celebration. Thanks so much for your great review. I had a awesome time and I'm glad the bday girl was happy. Look forward to bartending for you again. She did a great job with interacting with our guest. She stayed later than the booked time and didn’t complain about it at all. Would definitely book her again. Thanks so much for you awesome review. Look forward to bartending for you again. Debbie was very communicative prior to the event and was punctual. She did a wonderful job and our guests were pleased. Thanks Heather. 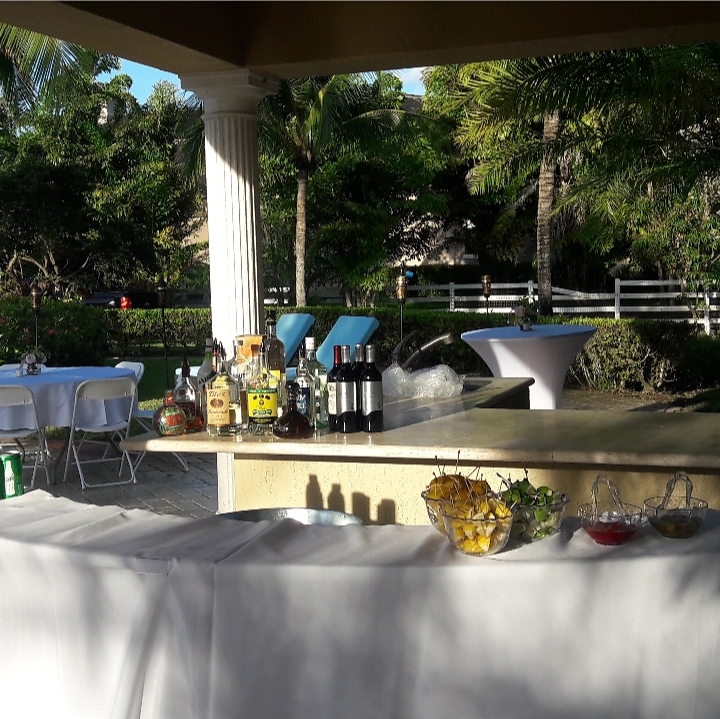 It was my pleasure to serve great drinks (especially the lemon drops) and seeing you and your guests happy. Thanks so much for the great review. 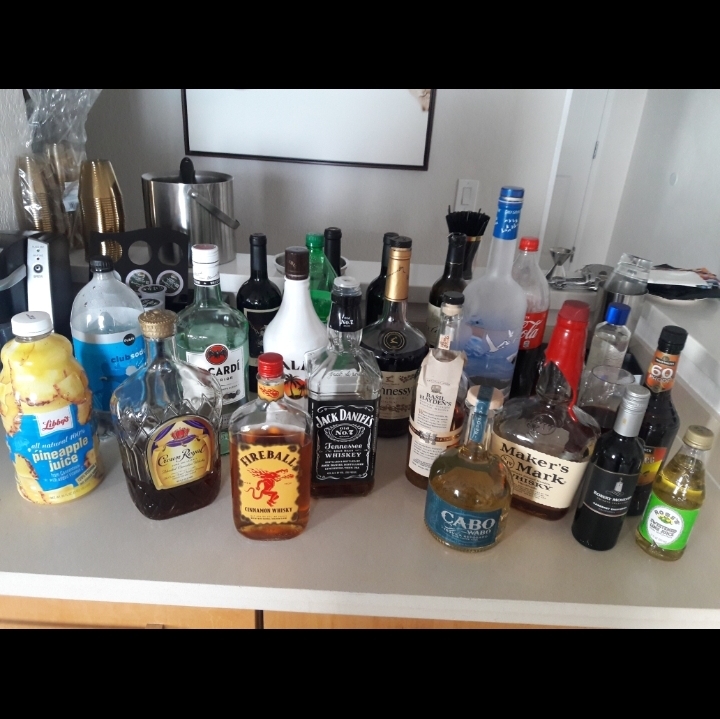 I totally enjoyed making drinks for you and your guests and seeing everyone happy and having a good time. Debbie was extremely professional, knows her stuff and my guest loved her. Thank you for making my 50 Karat Magic birthday special!